On March 22nd Haiti Cultural Exchange (HCX) was pleased to have an An n’ Pale session with legendary photographer, Marc Baptiste, at Five Myles Gallery in Brooklyn. The lively conversation was moderated by HCX’s Executive Director, Régine M. Roumain in front of an audience of over 100 people. Although Baptiste has photographed some of the world’s biggest stars including Jada Pinkett Smith, Idris Elba and President Obama, it is his love for Haiti that stole the show. “I’m interested in beauty. I’m about uplifting my people…I leave it to CNN to show the blood and the gore…the world promised a lot of things and most of them didn’t deliver anything,” Baptiste pronounced when discussing his work in Haiti. He has not only dedicated himself to being a premier photographer, but also a man who is determined to see his homeland make great improvements. And while the rest of the world has failed to deliver much hope to Haiti, Baptiste is pushing full steam ahead to better his country and the way others view it. When questioned about the projects he’s involved with, Baptiste runs through an impressive list of works including KORE Kapòt – a public campaign to promote condom use among Haitian youth, “Bigger Than You” – a film focusing on surfing in Haiti, and a photography book titled “Cherie Haiti”. Marc Baptiste chalked up his success to continually learning more about his craft. “You have to push yourself to learn,” he says. “If you truly love photography you have to do the work. I’m still learning. Nothing comes easy.” This was part of the advice he gave to young photographers, especially with the technology boom that’s currently raging. In response to a question posed by Roumain regarding how digital photography has changed his field, Baptiste replied, “Digital is here forever, but it’s still about good photography. It’s still about timing, framing, lighting…only the strong survive.” He also advised new photographers to find mentors in the field; people whom they can learn and grow from. He listed Helmut Newton and Richard Avedon as two of his most cherished and respected mentors. Following the conversation was a slideshow depicting shots of Baptiste’s work. His subjects included celebrities like Garcelle Beauvais and Chrisitina Milian, but also contained his works in Haiti. Two memorable photographs were those of foreigners working and living in Haiti. One was a doctor by the name of Alison Thompson, who has been living and working in the country since the earthquake. Baptiste noted that Thompson sleeps in the tents with her patients, and has worked tirelessly to give them the best medical care possible. Benjamin, the other American worker, was a young man from Middle America who created a shoe line exclusively for young Haitian children who are in need. Behind every legend is a student, someone who can take up the reigns and continue where their teacher has left off. Marc Baptiste doesn’t hope to leave just one prodigy behind, but many. 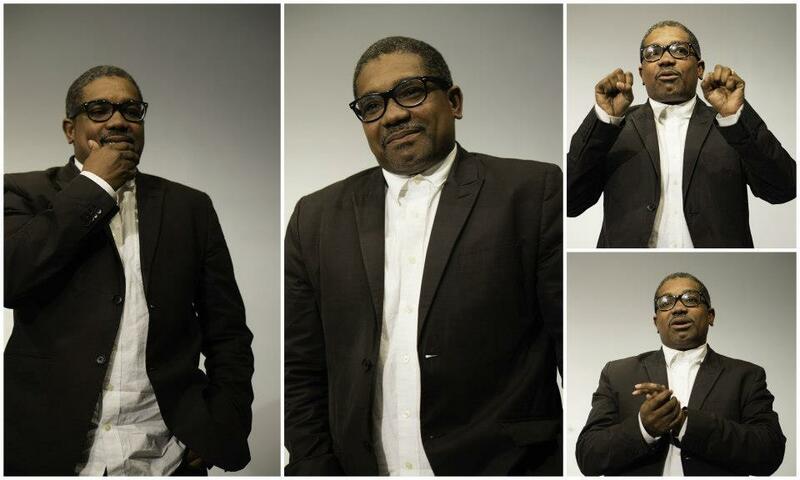 He is currently the Chair of the photography program at the Cine Institute in Haiti. Though he calls this project a “work in progress,” it is certain that it will leave a great mark on the country, allowing for Haitian youth to show Haiti to the world through their eyes. I attended the event hoping to get an insider’s view on the glamorous life of the Fashion industry, and ended up leaving inspired to continue supporting Haiti’s growth. Marc Baptiste’s most prized works are the ones that allow Haiti to shine in her own way. In his work, the viewer is able to find great beauty in the ordinary things that make up Ayiti. The landscape, the people – everything becomes extraordinary through his lens. It is with this unique eye and perspective that Marc Baptiste has been able to not only climb to the top of his profession but to also let a country that was once known as the Pearl of the Caribbean shine once again. 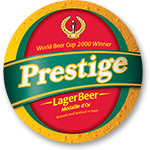 This An n’ Pale | Café Conversation was sponsored, in part, by Prestige Beer. This entry was posted on Thursday, February 21st, 2013 at 1:45 pm	and is filed under An n' Pale, Archive, Arts, Events, Fashion, HCX Programs, Photography, Public Forums, Visual Art. You can follow any responses to this entry through the RSS 2.0 feed. You can leave a response, or trackback from your own site.